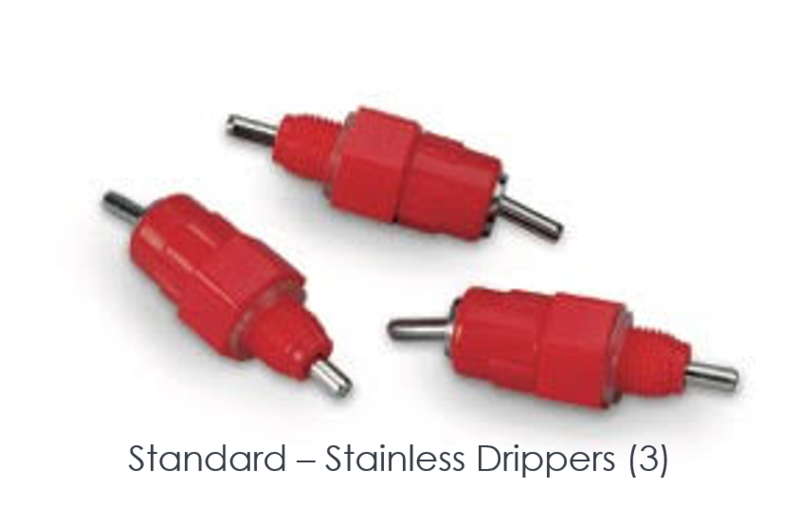 These heavy duty 360 drippers are the same drippers we use on all of our fountains. Our drippers have some of the highest flow rates you will find, higher flow rate means your birds spend less time at the drip head drinking making room for other birds. While we have never had a dripper break due to nomal use, accidents do happen (weedeaters, lawnmowers, golf clubs etc) and sometimes a dripper needs to be replaced. Additionally you may want to add a dripper to your current system, this is the dripper to use! Set of 3 drippers. Each of our drippers is a screw in unit and has its own built in washer to help provide a leak free seal. We use a 11/32 hole for the dripper threads. A drop of fish tank sealer can be used to ensure no water escapes. 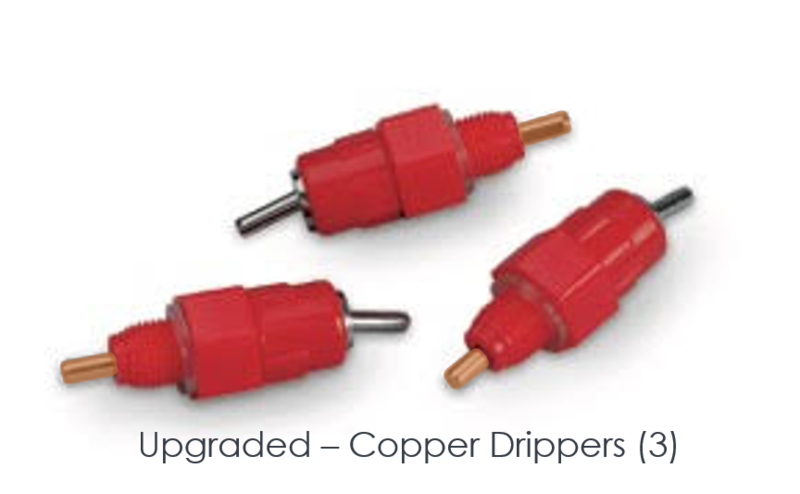 The same heavy duty 360 drippers but upgraded to include freeze resistant copper rods! Keep your drippers flowing in Winter to assure that your flock is getting the water they need. Set of 3 drippers. Each of these drippers is a screw in unit and has its own built in washer to help provide a leak free seal. We use a 11/32 hole for the dripper threads. A drop of fish tank sealer can be used to ensure no water escapes.